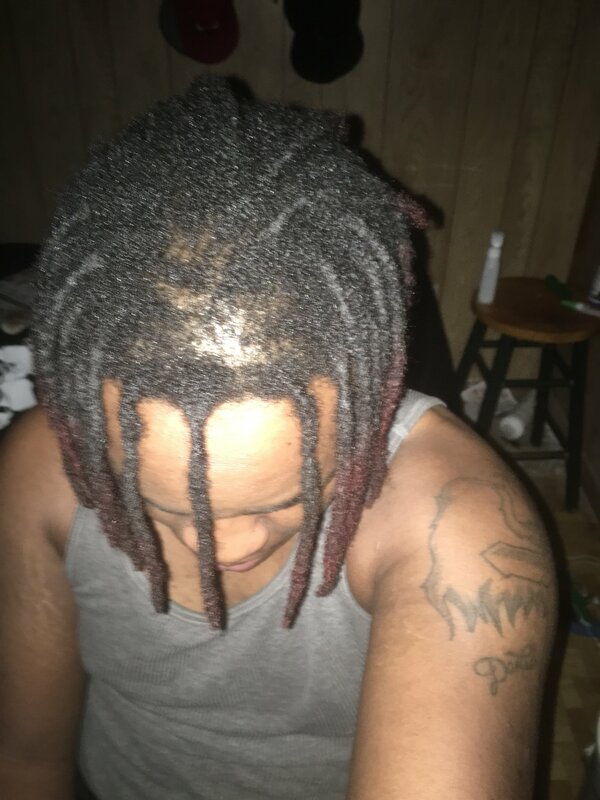 As the title says, I was looking to see if my particular problem was due to traction alopecia and if you guys got any tips on how to fix it. Thanks! what are you currently washing with? how do you typically wear them? well we will do our best and yes this sites your best hope.. but "in no time' is a bit much to expect. it can take awhile. i think.. i hope.. it will be a full recovery.. but how long a full recovery takes is anyones guess. Hello! So, I have to agree with Soaring Eagle. You need to stop any and all "maintenance". Please, no crochet, twisting, palm rolling...nothing that puts more tension on your scalp. Secondly, you need to be shampooing a minimum of once a week, if possible, twice weekly. Deep scalp massage should be your new best friend. Apply a small amount of coconut oil to your hands and begin to massage your scalp. Concentrate your efforts on the areas where you have the most loss, but make sure to involve the whole scalp...leave no area out. You want to massage with a firm pressure. Use the pads of your fingers, not the nails. Massage as if you were kneading dough. What you are trying to accomplish is increased blood flow and a looser, more pliable scalp. Do this massage as much as you can...ideally, at least three times a week. This massage should only take about 5 minutes. You can start with just three minutes if the scalp feels very tight. When you finish, you should feel a bit of tingling or warmth. This is normal and a great thing! Make sure that during the massage you are not forcing the scalp or being rough. The massage should be slow and even. Besides the massage, I would also recommend a combination of essential oils, to be applied after you shampoo. You want about an once of pure Castor oil with about 4 drops of Ginger essential oil and 4 drops of Rosemary essential oil. Apply it to areas of loss and rub it in well, you only need a very small amount...but be consistent. These remedies only work with consistent effort. I also suggest a Biotin supplement, as mentioned. Any others questions...happy to help!